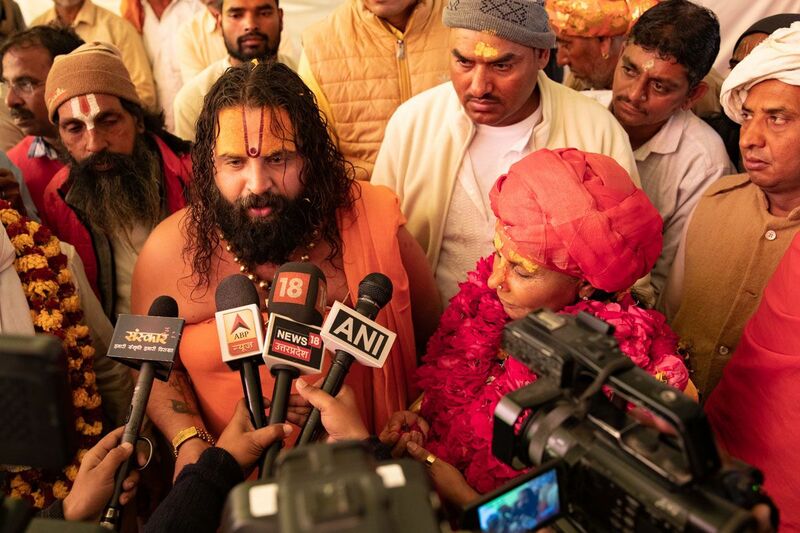 What does becoming a Mahamandaleshwar mean? 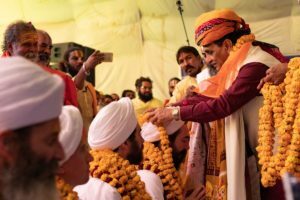 Being anointed as Mahamandaleshwar in the Akhil Bharatiya Shri Panch Nirmohi Ani Akhara of India weaves us more tightly to the fabric of Sanatan Dharma and the Vishnuswami Lineage, which dates back to over 2700 years. We are restrengthening our vows to contribute to society and facilitate the evolution of higher humanity. 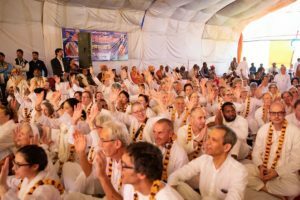 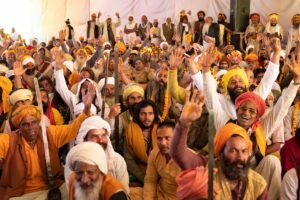 As Mahamandaleshars, we will spread the teachings of Sanatana Dharma around the world, including living a life of righteousness, serving and contributing to a better society. 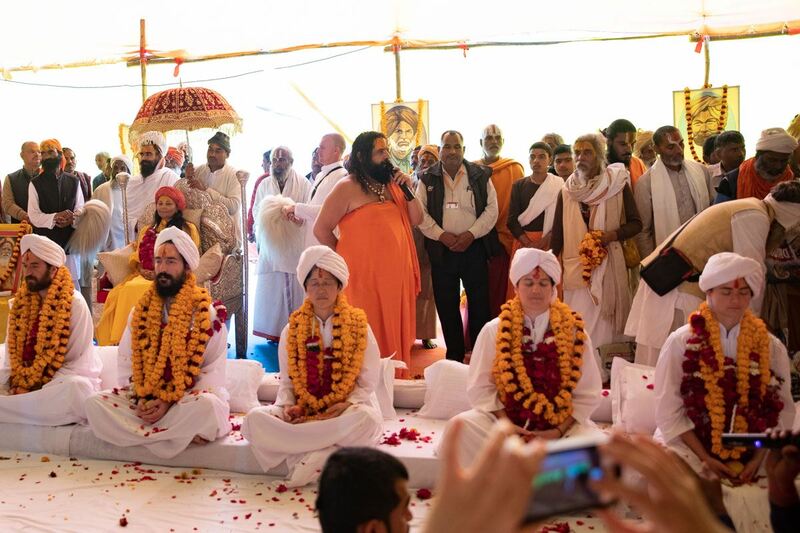 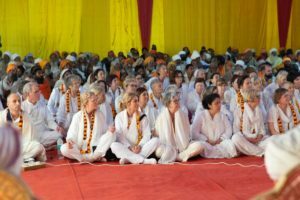 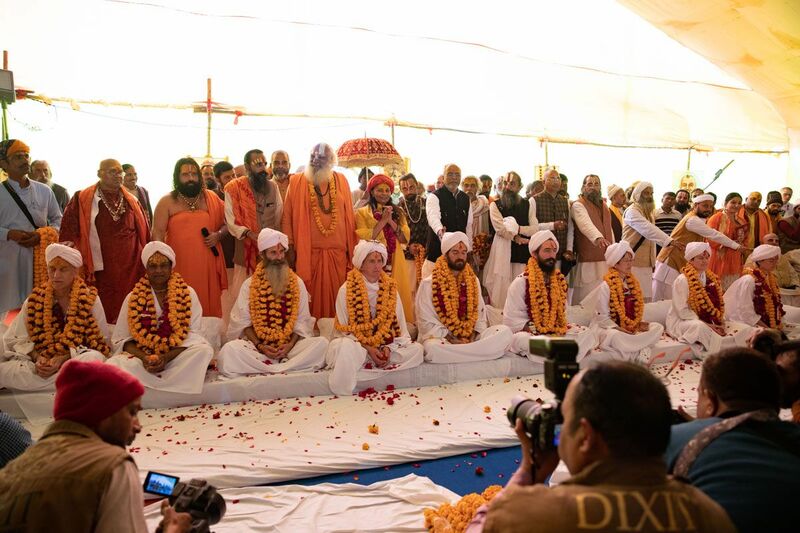 We will create ashrams in different countries, serving as educational and community centers, carrying out humanitarian work and empowering women. 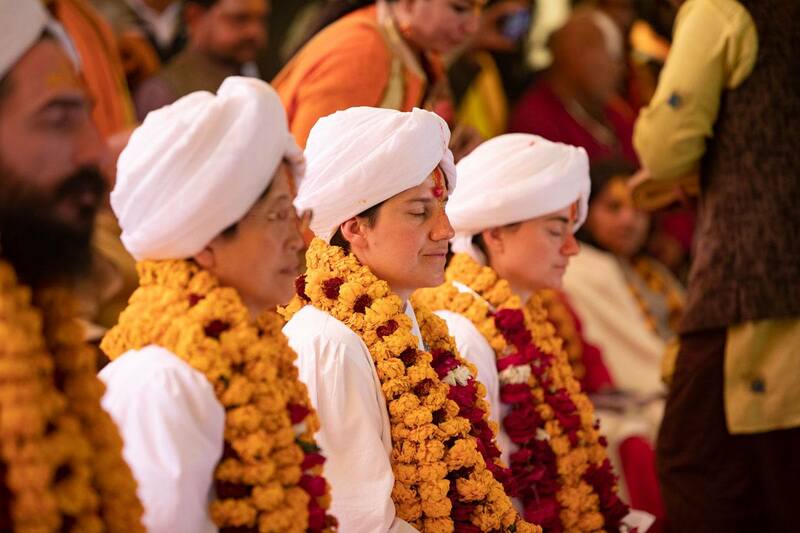 It is a legacy in conscious creation. 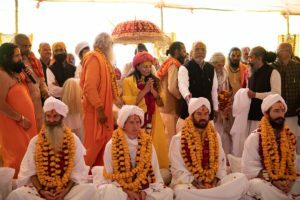 United States of AmericaSwami Parameshwar Das Maharaj has been a disciple of Jagadguru Her Holiness Sai Maa for 25 years. 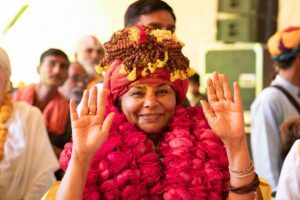 He was initiated as Brahmachari in 2003 by Mataji and Sri Tiruchi Mahaswamigal, and as Swami in 2007 by Mataji and Satuwa Baba Yamunacharya. 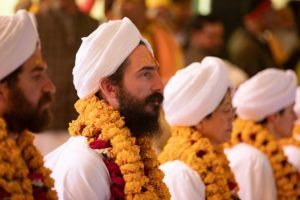 He travels worldwide spreading the teachings of Sanatana Dharma, holding programs in both English and French in many countries including Canada, France, Belgium, Ireland, Germany, Switzerland, Austria, Norway, Japan, and many cities in the United States. 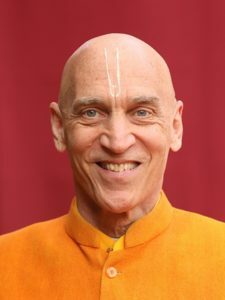 He published six books: a book of experiences and lessons from his years with Mataji; a workbook with practices for self-transformation; and four booklets about the healing power of meditation, healing power of action, forms of devotion, and ways to reduce stress. Swami Parameshwar Das Maharaj has been involved with humanitarian work for many years, including feeding programs, medical camps, and self-sufficiency programs for women in India. 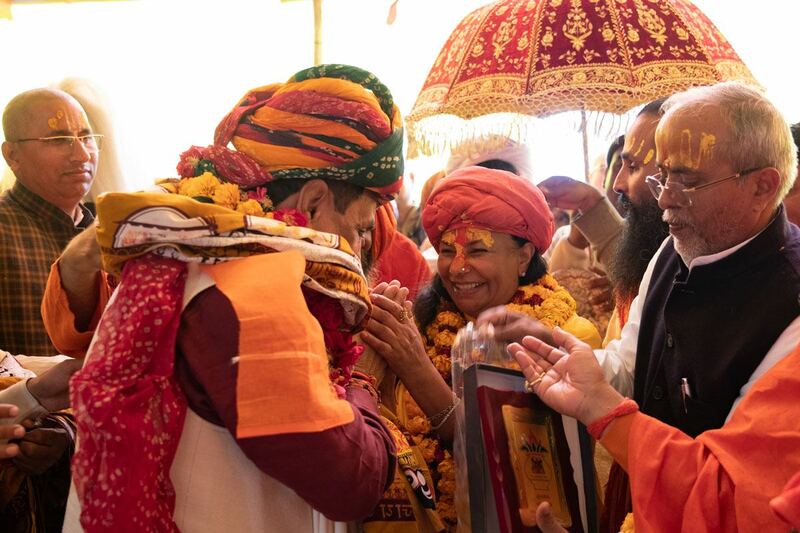 Swami Parameshwar Das Maharaj is currently Executive Director of Light Legacy Foundation, a nonprofit organization carrying out humanitarian work of Mataji dedicated to the upliftment of women, and he is a spiritual leader within the monastic Order of Sai Maa Brahmacharya. 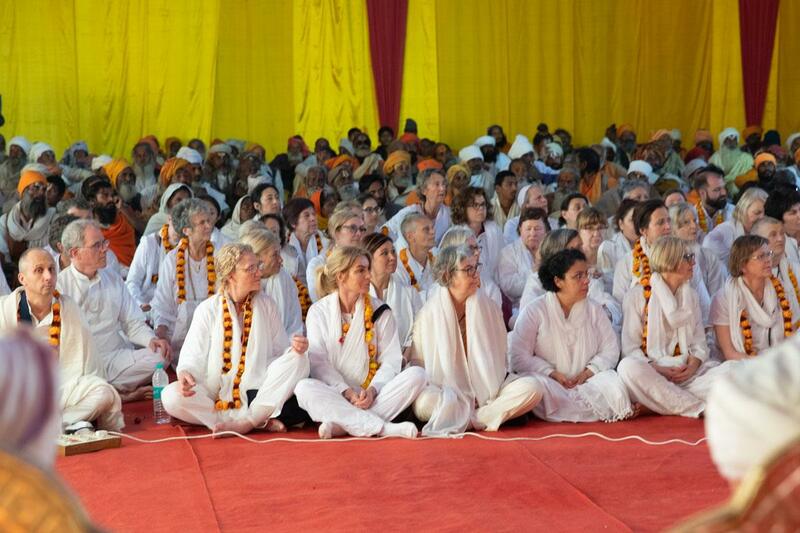 For 7 years Swami Parameshwar Das Maharaj was Resident Spiritual Master of Mataji’s ashram in Colorado. For over 25 years Swami Parameshwar Das Maharaj was a management consultant.. 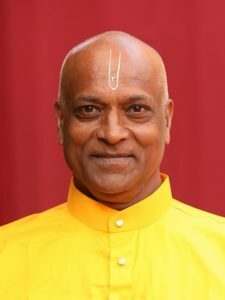 He received his Ph.D. and Masters in Psychology. 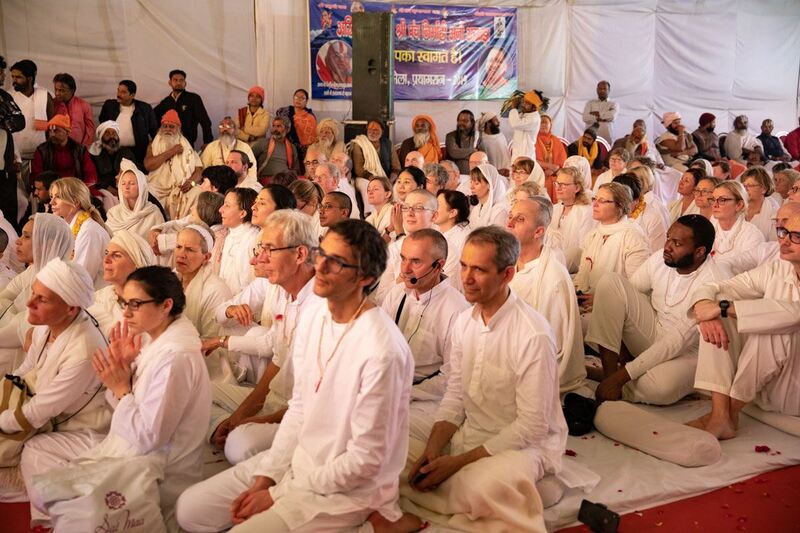 For more information, including teaching photos, videos, and recordings, please visit Swami Parameshwar Das Maharaj’s website: www.inthepathoflight.com. 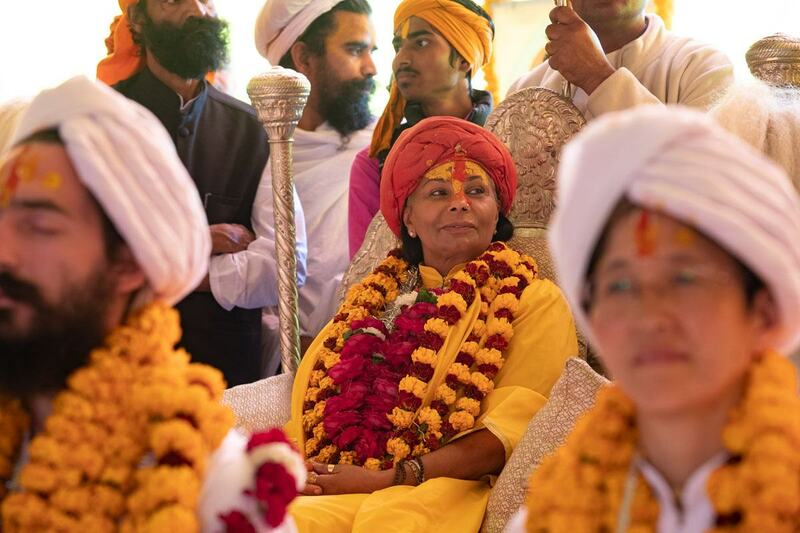 Shree Devi Maa’s primary role is as a teacher, sharing the light of Sanatana Dharma around the world, including in the United States, India, Ireland, Australia, Japan, Bolivia, Ecuador, and Chile. 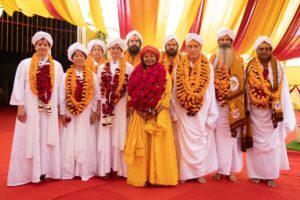 In 2014, Shree Devi Maa moved back to her birth country of Chile and in 2016 founded an ashram there where she teaches workshops, trains teachers and leads a growing community. Shree Devi Maa continues to travel throughout South America and the world speaking at conferences, and offering seminars and retreats. 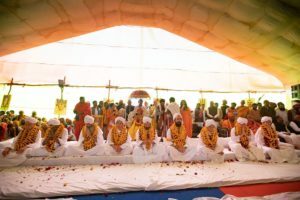 More information (in Spanish) about Shree Devi Maa’s program can be found on www.vidalineada.com. 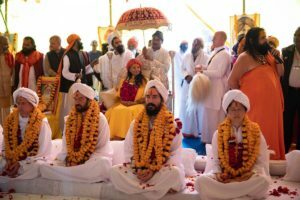 Japan Rajeshwari Maa has been a disciple of Jagadguru Her Holiness Sai Maa for 17 years, and was initiated as Brahmacharini at the Sai Maa Mahayagya which took place in Japan, at the base of Mt. 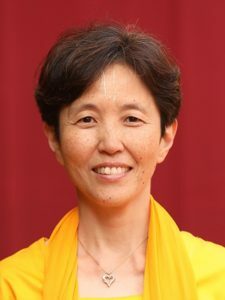 Fuji in 2016. 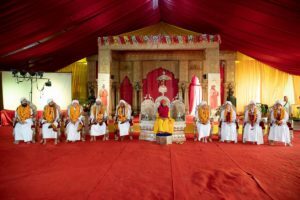 Rajeshwari Maa was instrumental in organizing this monumental event, which was the first Yagya of this caliber to be created outside of India in our current history. 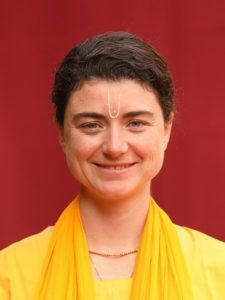 Rajeshwari Maa was educated in Japan, the United States and Germany, and worked in the financial sector for 10 years. She has trained extensively in multiple healing modalities, and has been teaching on healing and spirituality for more than 20 years. As Managing Director for Sai Maa Japan KK, Rajeshwari Maa has been living in Japan for the past 5 years, spreading the teachings of Sanatana Dharma there, while building a spiritual community of thousands of people all over Japan. 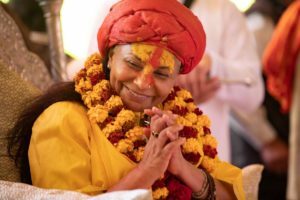 Her current focus is on building a Spiritual Center and Ashram in the Izu Peninsula, as well as a Spiritual Learning Center in central Tokyo. 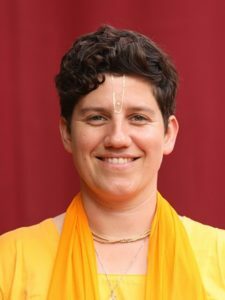 She has taught in many cities throughout Japan and the United States, as well as several European cities, in the English, Japanese and German languages. Today, he travels around the world teaching, including Canada, France, Belgium, Ireland, Germany, United Kingdoms, Spain, Norway, Japan, and many cities in the United States. 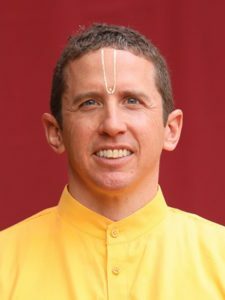 With a background in the healing arts, Triveni Das Maharaj holds both Bachelors and Masters degrees in Psychology. 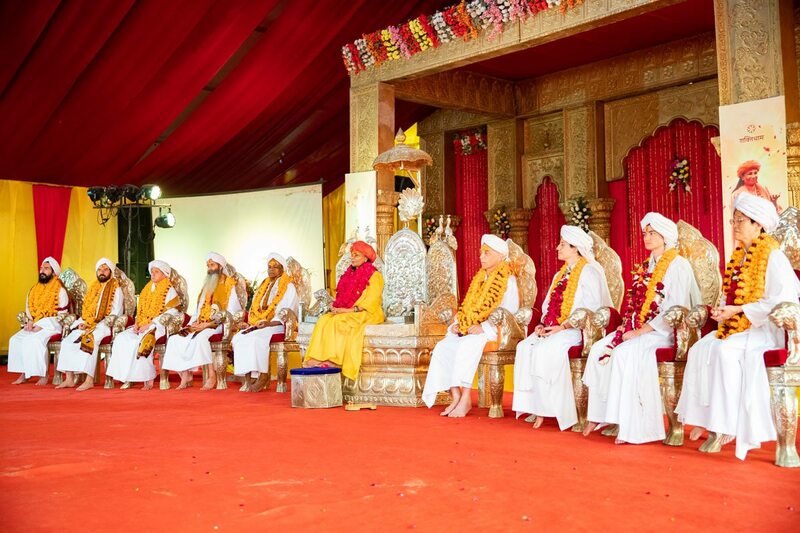 He is passionate about bringing the teachings of Sanatana Dharma to the western mind. In this spirit he has co-founded a global movement called Awakened Life. 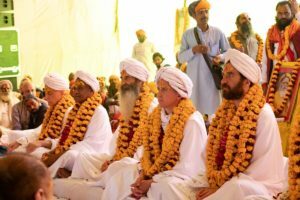 More information can be found at www.awakenedlife.love. 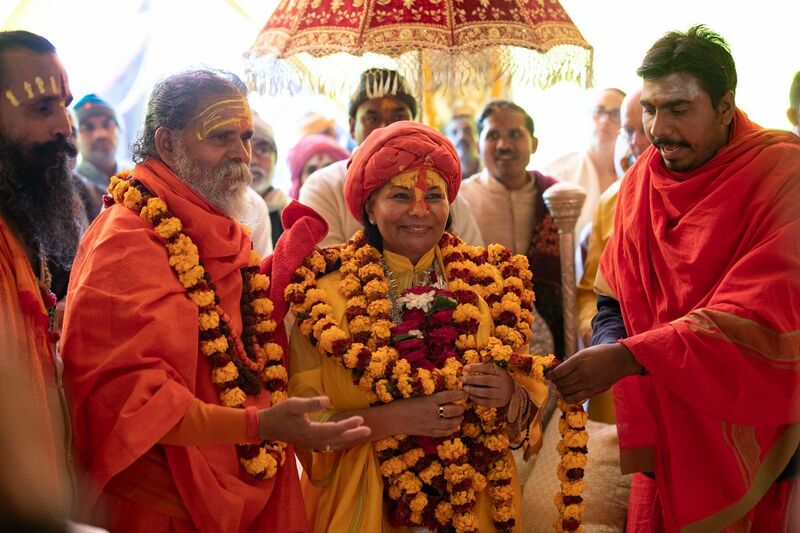 Israel Acharya Dayanand Das Maharaj has been a disciple of Jagadguru Her Holiness Sai Maa for 17 years, having been initiated as a Brahmachari in 2003 by Mataji and Sri Tiruchi Mahaswamigal, and then initiated as Acharya in 2008 by Mataji. 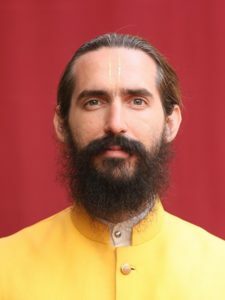 Residing in Sai Maa’s Ashram in Colorado, Acharya Dayanand Das Maharaj offered Bandara seva, Pujari Seva and was a lead teacher for meditation, Pranayama, Kriya and Sanatana Dharma. 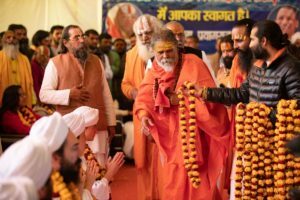 In India, Acharya Dayanand Das Maharaj studied under revered India saint Satuwa Baba Yamunacharya at the Satuwa Baba Ashram at the Manikarnika Ghat for 3 years, while offering humanitarian programs to feed the poor children of Varanasi and conducting Sai Maa’s programs in India. 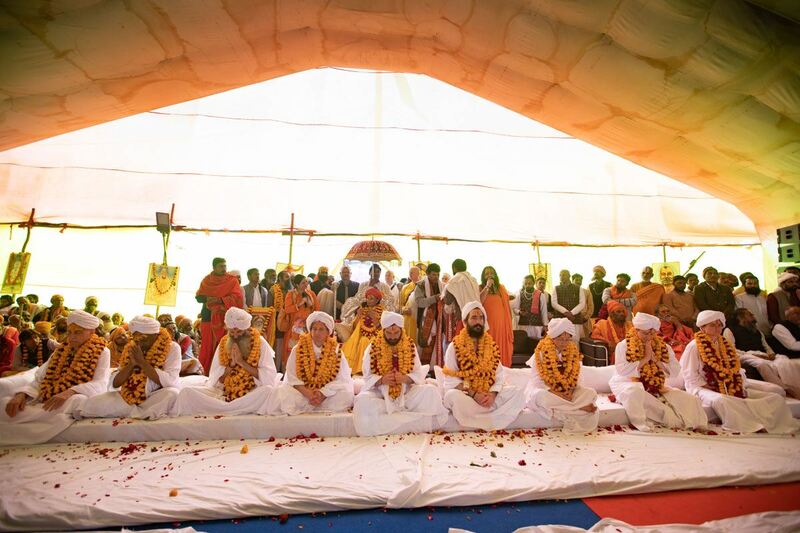 For the last 12 years Acharya Dayanand Das Maharaj has organized and offered seva for Mataji’s Kumbh Mela Shivir. 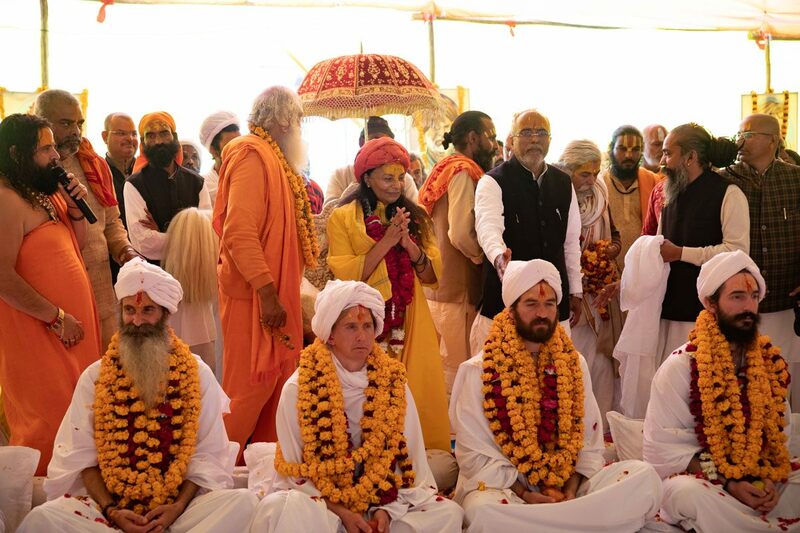 He is touched deeply by the powerful energy of Varanasi, and the spiritual wisdom inherent in the Indian culture. For the last 20 years Acharya Dayanand Das Maharaj has traveled worldwide spreading the teachings of Sanatana Dharma and building spiritual communities in Belgium, Ireland, Austria, Norway, and many cities in the United States. 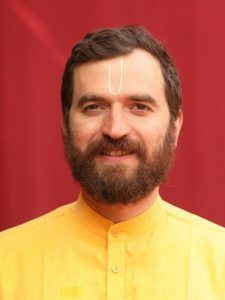 In 2016 Acharya Dayanand Das Maharaj founded the “Shiviti Ashram” in Hod Hasharon (Tel Aviv) Israel, where he shares the teachings of Sanatana Dharma and leads his students in their spiritual life. Devoted to the spiritual wisdom of India and its enlightened Gurus, Anant Das Maharaj supervises the activities of the Sathya Sai Maa Shaktidhaam Ashram, instructing disciples on the practices and wisdom of Sanatana Dharma while also teaching abroad in the USA in Philadelphia and other centers. 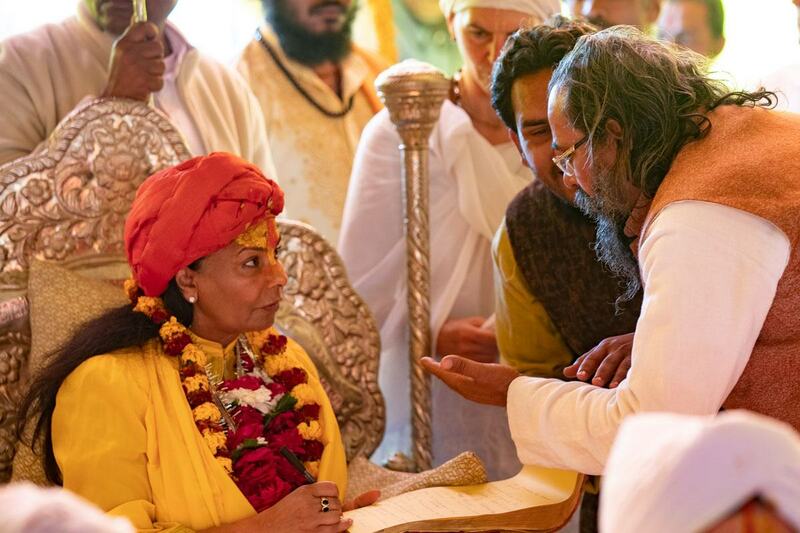 United States of America For over 12 years Jivan Das Maharaj has been a devoted disciple of Jagadguru Her Holiness Sai Maa and was initiated as Brahmachari over 2 years ago. He spreads the teachings of Sanatana Dharma as an international spiritual teacher and psychotherapist for at-risk youth and teens. For over the last 12 years, Jivan Das Maharaj has led transformational and meditation workshops for thousands of people in countries including Canada, Belgium, and many cities across the United States. He is passionately dedicated to assisting others in achieving breakthroughs personally, professionally, and spiritually in a down-to-earth, yet direct approach that inspires them to create extraordinary results in their lives. 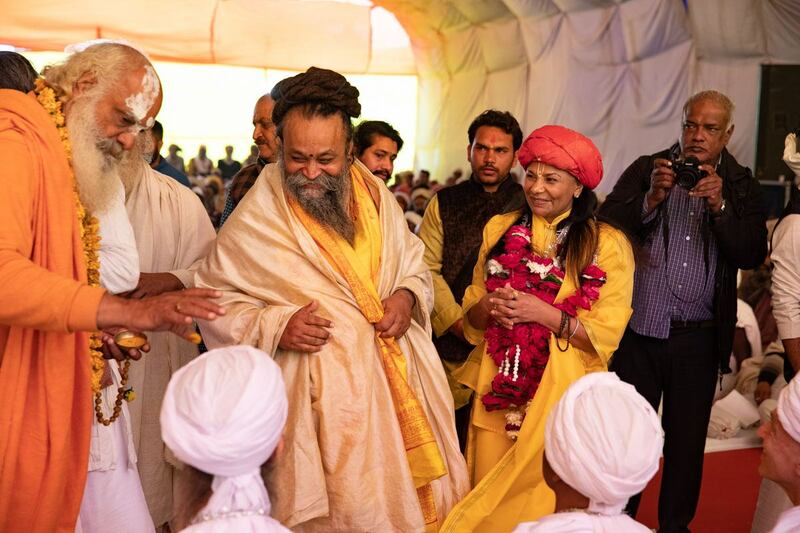 Jivan Das Maharaj has published a devotional book of poetry entitled The Seed & The Sun and regularly publishes articles in newsletters of spiritual communities he guides and supports. 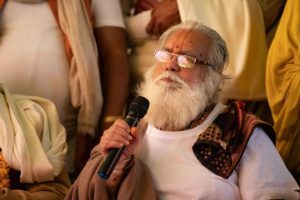 For over the last 18 years Jivan Das Maharaj has dedicated himself professionally to supporting struggling youth in a wilderness therapy context. 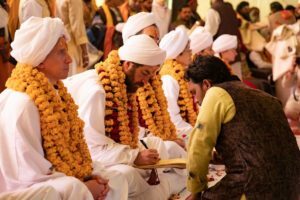 He is currently a senior clinical therapist at Open Sky Wilderness Therapy, a family-centered wilderness program driven by the belief that all people have the capacity to thrive. 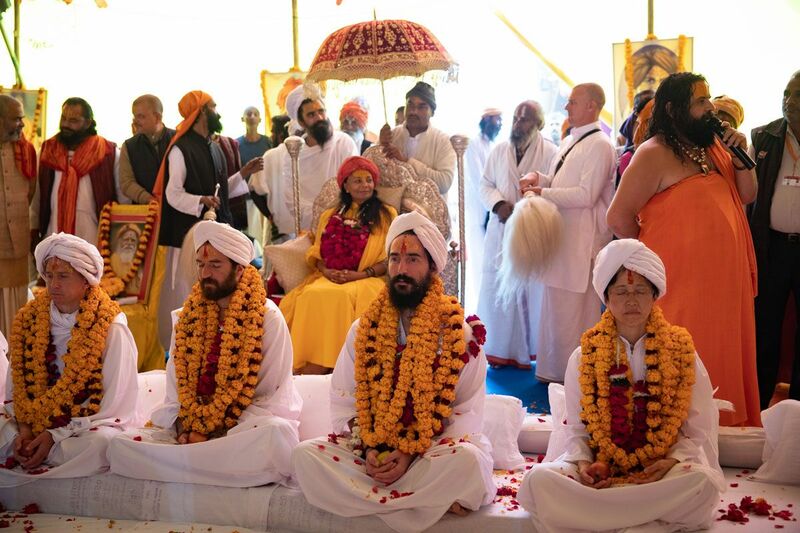 Jivan Das Maharaj received his Masters in Counseling Psychology and is a licensed psychotherapist in two states. 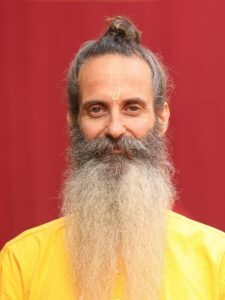 Additionally, Jivan Das Maharaj coaches clients in a private practice, is an advanced yoga practitioner, and a high-performance rock climber. 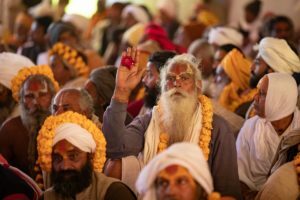 More information can be found at www.awakenedlife.love and www.thejiv.com. Life changing ideas. In your Inbox. Subscribe to our weekly newsletter. Be a discoverer.